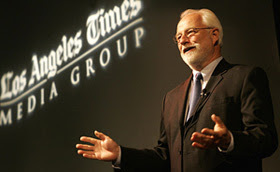 Eddy Hartenstein, L.A. Times Publisher & C.E.O. That allegation — that a newspaper’s opinion and news coverage is influenced by advertiser whims and friends of LAT executives — is huge, if true. Chris Wallace on being selected by Radio and TV News Directors Assoc to receive their lifetime-achievement, Paul White Award. The Excellence in Journalism conference honors Chris Wallace, who delivers an inspiring, poignant acceptance speech- which follows the screening of a brief, career highlights reel. The Radio and TV News Directors Association, long co-located with the National Association of Broadcasters Convention in Las Vegas, returns to the Pacific Time Zone for the first time since joining its annual Conference with the Society for Professional Journalists. 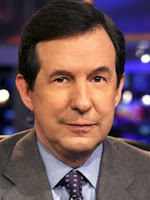 The winner of the annual Paul White Award this year is Chris Wallace of Fox News Channel. Mr. Wallace, will be honored at a VIP reception on Sunday, Aug. 25, with Ms. Belva Davis, the winner of the John F. Hogan Award Belva Davis, and past winners and other distinguished guests. 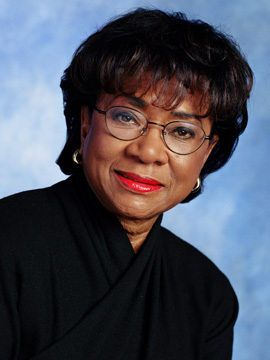 In 1966, Belva Davis was the first female African-American television journalist on the West Coast. Following several posts in radio news, Ms. Davis served for 30-years at KPIX-TV in San Francisco. 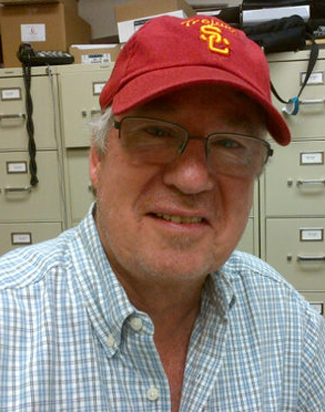 Winner of the Paul White Award in 2010, CBS News' Steve Kroft told us his concern about how cable news channels polemic roundtables are replacing true journalism. Mr. Kroft appealed to executive producers and news editors to provide better quality news television, and to viewers to prominently voice their dissatisfactions. Here is his Paul White Award acceptance speech. CBS News' Russ Mitchell discusses the evolution of network newscasts in the era of 24/7 news networks and digital distribution. Al Jazeera America: What influence is Qatar's emir spending $500 million to effect within America? The British-accented, Al Jazeera English satellite news channel, met with limited reception by US pay-TV subscribers, will be superseded in North America by a new, American-based (but still Qatar-monarchy owned) Al Jazeera America news channel. Al Jazeera America will be ushered into American cable and satellite homes over the channel formerly known as CurrentTV beginning August 20, 2013. Tony Fox, Al Jazeera's public communications chief (formerly with Comedy Central), gives us the lowdown on how vast the news channel's American operation will be - and what independence will this channel have from the sharia-governing owner, Emir of Qatar, Sheikh Hamad bin Thamer Al Thani. The channel has hired familiar, chief business correspondent with CNN, Ali Velshi, to be the familiar public face to help streamline acceptance of channel-viewing into American homes. "Al-Jazeera English was set up in 2006 by the Arabic broadcaster of the same name and both are owned by the Qatari state. The network, founded in 1996, gained credibility with audiences in the region for its seemingly independent coverage in the post 9/11 period. Its English channel was launched to offer an alternative, non-western-centric worldview. However, in recent years, Qatar has taken steps to consolidate its control over the channel as the country seeks greater political influence in the Gulf. In September 2011, Wadah Khanfar, a Palestinian widely seen as independent, suddenly left as director-general after eight years in the post and was replaced by a member of the royal family, Sheikh Ahmed bin Jassim al-Thani, a man with no background in journalism. In his resignation letter, Khanfar said, after noting that the channel had been criticised by Donald Rumsfeld and hailed by Hillary Clinton, that "al-Jazeera is still independent and its integral coverage has not changed".